The London Classic Car show is finally upon us… It is the first of its kind and has been put together by ‘Brand Events’ , the team that are responsible for other successful auto-themed events such as Top Gear Live and CarFest. They have also recruited James May to play a part in the Classic Car show and in preparation James has taken the time to make a list of what he believes are the 13 most significant cars of all time. Now just to be clear, do not mistake this for a list of James’ favourite cars, the car itself could be pretty village, *cough- the Toyota Prius *cough, however if they inspired a new way of thinking or prompted innovation then they justifiably make the list. On the more obscure cars on the list, May said: “but the other six are less well known. I believe they are just as significant historically but they’ve simply been forgotten or misunderstood”. 1980 Lada Riva. “The Russian-built, Fiat 124-derived, Riva did more than any other to put communism on wheels.” – I’ve only ever seen one Lada Riva for sale ever on Carsite. He wont be releasing the identity of the 13th car until later tonight, and that shall be done exclusively as part of the London Classic Car show. 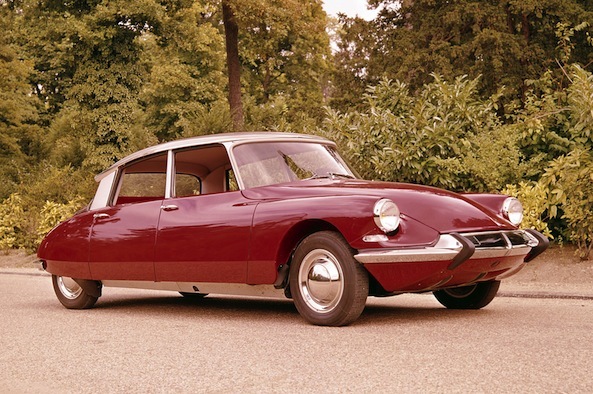 The show will include a number of features including a tribute to the Citroen DS on its 60th anniversary which we think will include a look at the new facelift Citroen DS5. © 2019 Maidstone Used Car Sales. All rights reserved.